The headlines coming out of Europe for the last month paint the a picture of NATO awakening: A month long multinational training exercise in Estonia involving aircraft and airmen from the United States, Estonia, Finland and Sweden. Florida Air National Guard F-15C Eagles commence a six month deployment to Eastern Europe. A number of NATO nations increase their defense spending in light of recent Russian actions. Germany decides to recommission 100 Leopard 2 Main Battle Tanks to bolster the combat capability of its long neglected ground forces. NATO exactly is not making like its 1985 all over again, but the latest moves by alliance members are steps in the right direction. The unwillingness to adequately meet the dangers posed by Vladimir Putin’s Russia is slowly melting away. The notion of conceivably having to confront a militarily resurgent Russia is becoming less theoretical and more concrete as time goes on. Military preparedness is becoming a hot topic in capitals across the continent. Some alliance members are coming around to the realization that their armed forces are not adequately prepared for modern conventional warfare. Almost twenty five years of relative peace, shrinking defense budgets and political indifference have taken a toll. Now, in order to ensure that their forces are ready to meet treaty commitments, the majority of alliance members are being forced to play catchup. Even the United States has had to adjust to the new realities. US combat power in Europe was drawn down dramatically from what it even a decade ago. EUCOM had become something of a clearinghouse more than a combat command. Fighter wings and Army brigades based in Europe were being deployed to Afghanistan and Iraq regularly for combat tours. In April of 2013, the last American tanks had been withdrawn from Europe. The strategic shift to Asia and the Pacific was underway. Now, two years later, it’s a different situation altogether. The European Reassurance Initiative will allow US commanders in Europe to draw funds from $1 billion dollars set aside by Congress for contingency operations. American armor is back in demand in Europe. Abrams and Bradleys are rolling through the Baltics. USAREUR is exploring options for prepositioning equipment in Eastern Europe. F-16s are thundering across the Estonian sky while Flordia ANG F-15s take part in Frisian Flag and prepare to deploy east to Bulgaria. Power projection and combat preparedness are the priorities. Once again, US European Command has become a combatant command in its own right. Germany’s reaction to Russian aggression is somewhat more ambiguous. On April 10, the German government announced that it will be placing 100 mothballed Leopard 2 MBTs back into service and modernizing them. The move is intended to give the German Army more combat power at a time when NATO revamping its Reaction Force to meet the threat emerging from the east. This is not a short term solution, though. The tanks will not begin modernization until 2017 and only after that is completed will they be placed back in service with line units. Two or three years is a long time. If relations between NATO and Russia begin to normalize by then, the modernization can be cancelled and the tanks placed back in reserve. In essence, the Germans are hedging their bets with this move. It will not change the balance of power in the short term, so Moscow will have a difficult time viewing it as a provocation. NATO’s Eastern European members are addressing the threat posed by Russia with robust increases in defense spending. After all, these nation-states share a border with Russia, and at one time most were either part of the USSR or the Warsaw Pact. Lithuania’s defense spending will increase by 50% in the foreseeable future. The other Baltic States will join the trend with more modest defense budget increases. Poland began a military modernization program in 2013 before Russian annexed Crimea or the Ukrainian conflict began. 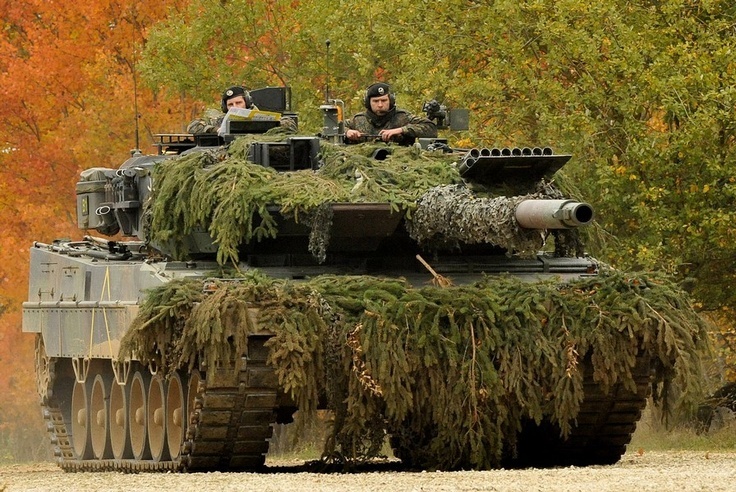 This year, Poland’s defense spending will rise by 20%. In contrast, defense spending in much of Western Europe continued to decline. Austerity remains the name of the game and defense cuts continue to occur. In Paris, Brussels and London, Russia is not yet viewed as an imminent threat. In Warsaw, Vilnius, and Riga, Russia is. Little by little, NATO is awakening. Progress is being made, but will enough of it be made in time?